Ready for the big finale! I really loved the ending to this series. The writing was a little bit too slow for me in the beginning, but the last past I just blazed right through it. I liked how you see Ruby really changing in this book, together with the people around her. Not everything is easy or perfect and it shouldn't be. Everything changes, there's some nice plot twists in the story, but in the end it wraps up just the way I wanted it to, no lose ends. 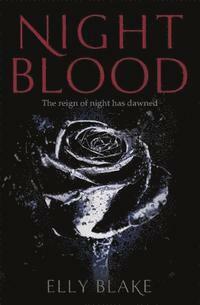 Sign into Goodreads to see if any of your friends have read Nightblood.